Ecosram LED Technology Limited is a group that focuses on LED lighting manufacturing, development, production and sales established in 2008. The factory covers more than 3500m2 complete with equipments. Machines for assembling SMD and reflow soldering machines, also two sets of professional testing equipment—integrating sphere; fifteen sets of product testing equipments. Their products include, LED Tube T5&T8, Microwave Sensor LED Tube, Ballast Compatible LED Tube, Portable Rechargeable LED Flood Lights, LED Panel Down light, Flexible LED Strip, 2G11 LED Tube, G24/G23/E27 PL LED Lamp, R7S LED Bulb, High Power LED Street Light, LED Spotlight etc. The products are exported worldwide to Germany, America, Russia, Australia, Singapore and Japan. 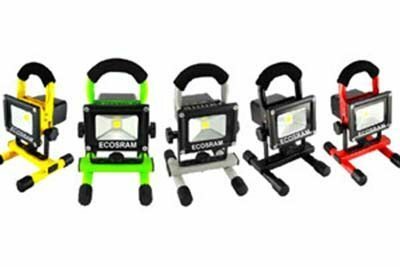 According to Ecosram Led Technology’s communication specialist Amy their products are not available in Africa now and they sell directly to their client’s who are end users or led light importers. Amy also added that the company is in the process of securing agents in Africa. The company has got good reputation for high quality products, excellent sales service and quick lead time in LED industry with advanced management system and strict quality control measures.